In the first installment of an iconic historical mystery series, a medieval monk seeks a saint's remains for Shrewsbury Abbey--but finds a murderous sinner instead. A Welsh Benedictine monk living at Shrewsbury Abbey in western England, Brother Cadfael spends much of his time tending the herbs and vegetables in the garden--but now there's a more pressing matter. Cadfael is to serve as translator for a group of monks heading to the town of Gwytherin in Wales. The team's goal is to collect the holy remains of Saint Winifred, which Prior Robert hopes will boost the abbey's reputation, as well as his own. But when the monks arrive in Gwytherin, the town is divided over the request. Before CSI and Law & Order, there was Brother Cadfael, "wily veteran of the Crusades" (Los Angeles Times). His knowledge of herbalism, picked up in the Holy Land, and his skillful observance of human nature are blessings in dire situations, and earned Ellis Peters a Crime Writers' Association Silver Dagger Award. 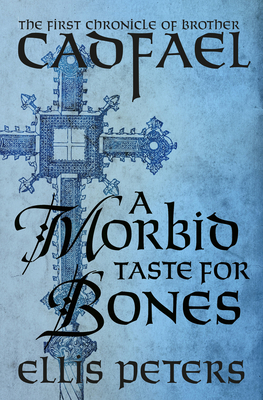 A Morbid Taste for Bones kicks off a long-running and much-loved series that went on to be adapted for stage, radio, and television. Ellis Peters is a pseudonym of Edith Mary Pargeter (1913-1995), a British author whose Chronicles of Brother Cadfael are credited with popularizing the historical mystery. Cadfael, a Welsh Benedictine monk living at Shrewsbury Abbey in the first half of the twelfth century, has been described as combining the curious mind of a scientist with the bravery of a knight-errant. The character has been adapted for television, and the books drew international attention to Shrewsbury and its history. Pargeter won an Edgar Award in 1963 for Death and the Joyful Woman, and in 1993 she won the Cartier Diamond Dagger, an annual award given by the Crime Writers' Association of Great Britain. She was appointed officer of the Order of the British Empire in 1994, and in 1999 the British Crime Writers' Association established the Ellis Peters Historical Dagger award, later called the Ellis Peters Historical Award.